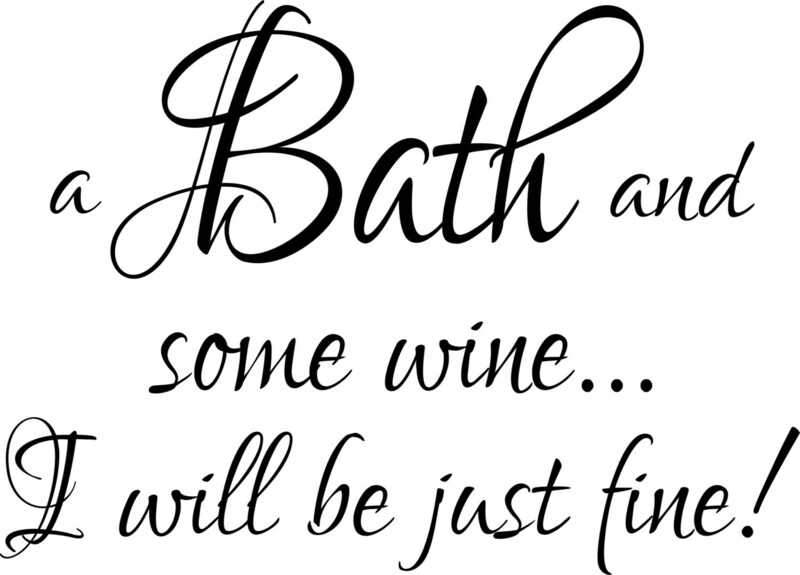 A Bath and Some Wine...I Will Be Just Fine! 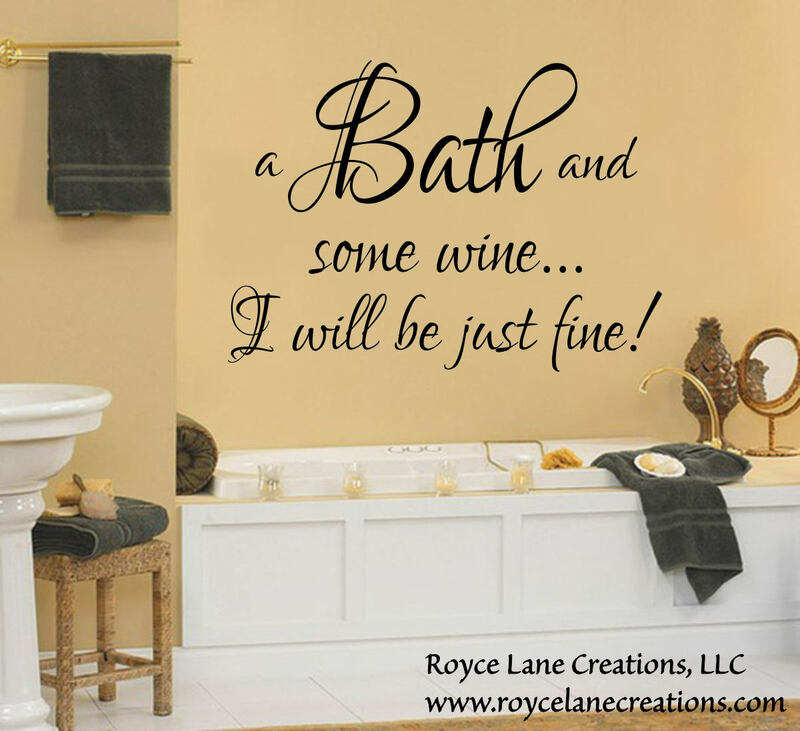 Such a fun decal for any master bathroom! Delight your guests in a guest bathroom! 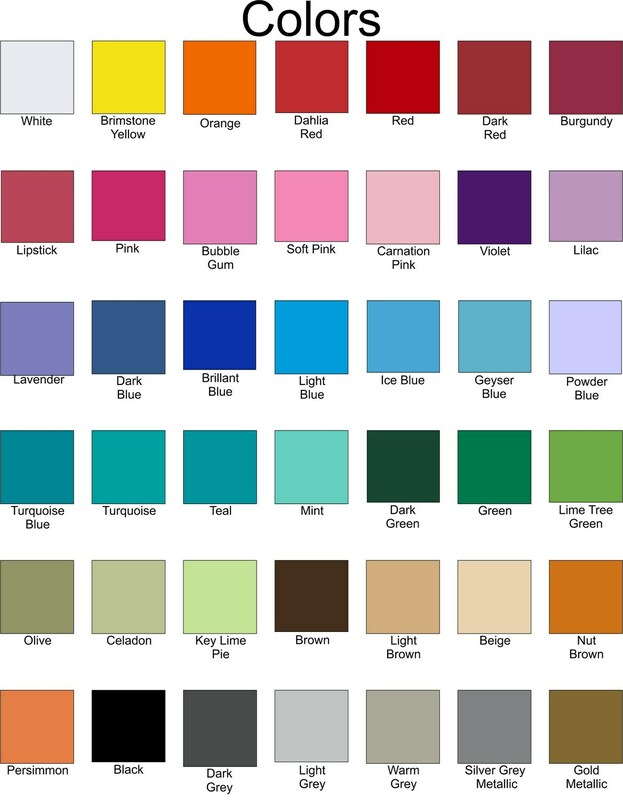 Decals can be applied to many surfaces such as walls, shower doors, windows, etc. They remove easily. When you are finished with them just peel them off! This decal is available in many sizes. Love it as a change from framed pictures. Easy to apply even on textured wall. Great wall decal! Good quality and looks exactly like the example picture! Thank you. Absolutely delighted with this decal - we watched the video first and then my husband applied it to the wall. Great value for money.